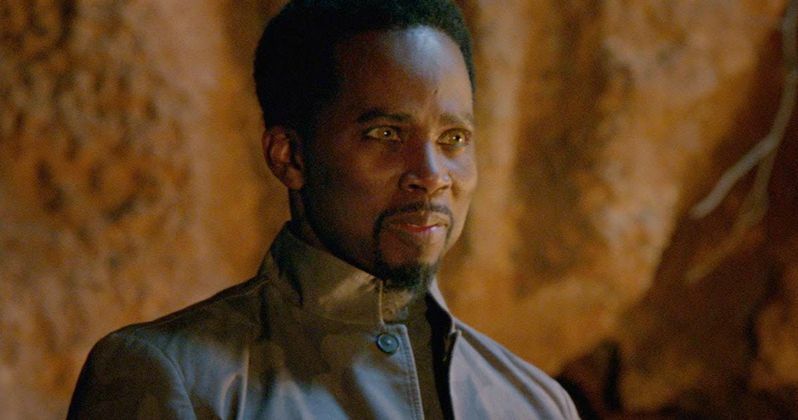 John Constantine (Matt Ryan) comes face to face with an angel known as Manny (Harold Perrineau) in the latest clip from NBC's Constantine, following the extended trailer released yesterday. Manny has been tasked with looking after John, as he returns to the streets for "a young lady." While it isn't known exactly who John is referring to, it most likely isn't Angélica Celaya's Zed, who we reported last week doesn't show up until the very end of this week's pilot episode. The original pilot episode actually featured Lucy Griffiths as Liv, a character who isn't featured in the DC Hellblazer comics. The producers scrapped the character in July, with Angélica Celaya taking her place as Zed, a former lover of Constantine in the comics, just a few days later. At any rate, John and Manny don't seem to get off to a great start in this scene, since John thinks Manny is responsible for the destruction around him, and we also learn that John used to be in a mental institution. How will the seemingly-contentious relationship between John and Manny play out? Find out when Constantine debuts Friday, October 24 at 10 PM ET on NBC.